A few months back, me and my personal favorite Hawaiian gyotaku artist, Desmond Thain got together to do a very special collaboration to celebrate our joy for this art form. Find it in the gallery store! Art Critic Review of Coastline Art Gallery Exhibition! 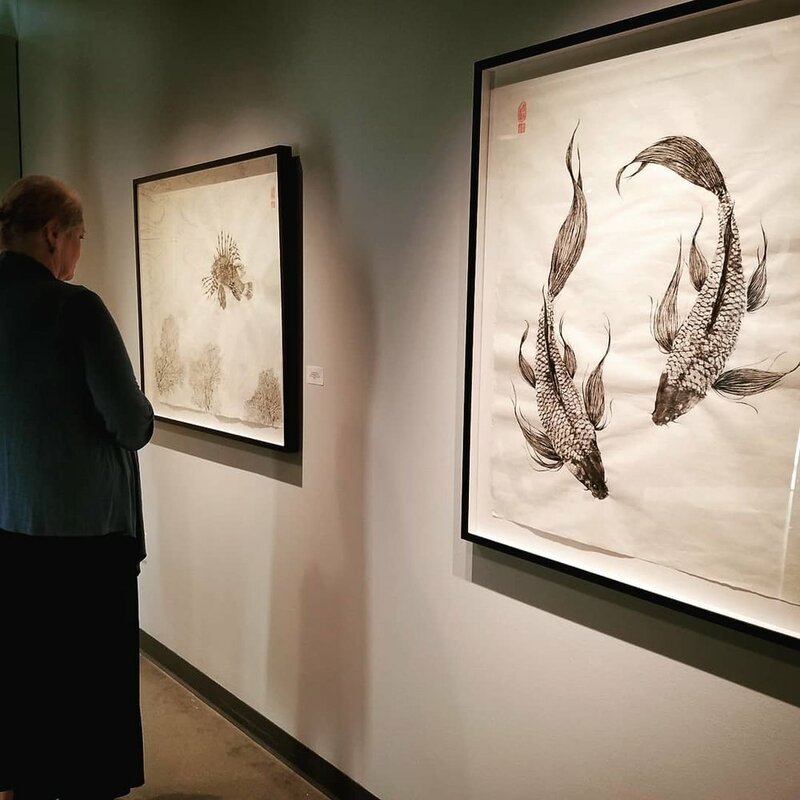 "The show’s tranquility is best represented by Dwight Hwang’s stunning Japanese-style paintings of koi, lionfish and octopus (Water Butterflies, Lion’s Garden and Flow of Water, respectively). The dried sumi ink has wrinkled the washi paper, indenting the page, suggesting buoyancy and movement around the subjects hovering within the frame."